Wilbur G. Mason was born in Tuskegee, Alabama on September 28, 1924. He was educated at Tuskegee Institute High School and graduated in 1944, while working part time at the Tuskegee Army Airfield as a civilian employee. Mr. Mason served as a civilian employee in the base supply. He served as a storekeeper, where he received and stored Air Force property, which included equipment for the pilots and ground crew. He then became an inspector in base supply to inspect and identify Air Force property according to the manuals, rules and regulations. After studying Industrial Arts and Electrical Engineering at Tuskegee Institute, Mr. Mason moved to Detroit, Michigan where he became an electrician. In 1958, he joined IBEW (International Brotherhood of Electrical Workers) and continued his career as an electrician working with construction contractors before joining the Wayne County Government in Michigan in 1967as an electrician. Mr. Mason retired in 1985 and now lives in Atlanta. He has three children, six grandchildren, and three great-grandchildren. He retains his Master Electricians License both in Michigan and in Georgia. He is a member of the Atlanta Senior Golfer Association, Alpha Phi Alpha Fraternity and the Atlanta Chapter of the Tuskegee Airmen. 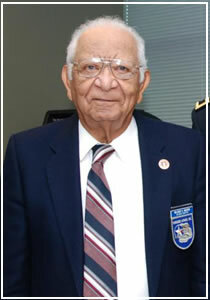 He has served as Treasurer for the National Chapter Tuskegee and the Atlanta Chapter Tuskegee Airmen.